According to the federal government, 44 states had an increase in the number of homeless students compared to 2009-2010 — and for 15 states the increase was a staggering 20 percent or more. The states with the biggest increases were Kentucky (up 47 percent), Michigan (38 percent), Mississippi (35 percent), Utah (47 percent) and West Virginia (38 percent). The number of homeless children enrolled in public schools nationwide has increased 57 percent since the recession began in the 2006-2007 school year. Florida, with nearly 56,000 homeless students across the state in 2010-2011, increased 15 percent over the previous year — and ranks fourth in the nation in terms of sheer numbers. What is going on in this country? Homeless veterans are a disgrace to the way our military treats it’s veterans after each one gives and devotes their lives to our country – to our government, but this is beyond that. We can spend multi-millions on elections, multi-millions on a useless drug war, millions helping other countries, millions on tax breaks for the rich, subsidies for the oil companies who are showing higher profits than every before, billions are needless wars, but we cannot keep our children in a home, cannot pay teachers what they are worth, cannot keep teachers employed, and the list goes on an on. This could easily happen to anyone in the blink of an eye. A company closes, job is lost. Major medical expense. Crippling auto accident. Anyone that states our middle class is NOT disappearing is either ignorant, completely oblivious to the stark truth of reality, or is a public figure purposely misleading the public in order to gain more control and power for their own personal gain. And who suffers? The children. Mark my words, if Romney were to take office as President of the United States, then this number will rise and the middle class will go the way of the dinosaurs. We have lost millions of jobs to corporations who are taking the jobs overseas so that they may take advantage of other country’s extraordinary low wages. Remember, Romney has stated the “corporations are people, too” and he will give even more power to the corporations to do what they need to do to maximize their profits. Romney himself put thousands out of a job as Bain Capital would purchase stable companies and destroy them all for a profit. Morality is no longer present in corporate American. Our country is a disgrace because of this alone. 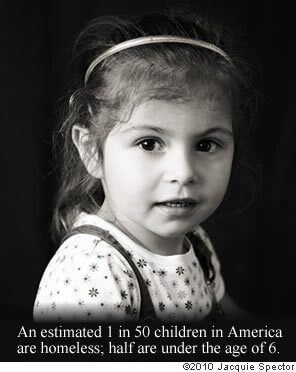 There is no reason at all that we should have one million children homeless. None. Yes it is. Some of our stats are more like third world countries. Seriously, I had no idea the number was that large. That’s shameful. I know… I thought the same thing, too, about the home schooled – but I understand the gist of it. And it most certainly is shameful. This makes me very sad and, Very Mad. How to fight the cause of this? How to change it??? Thank you Obama for taking away the middle class…….